UPDATE: I wrote this post knowing that Forward was having its last Sunday because of financial reasons. But literally ten hours before we were supposed to have our last service, someone stepped up and donated the exact amount of money needed to keep Forward going. Even when things literally look hopeless, GOD IS GOOD! He makes the lame walk, the blind see, and raises the dead to life. I’m still in awe of His incredible power. Today, I want to write about something that is both happy and sad for me. As I wrote about last year, I’ve been so blessed to have found a wonderful church to call my home. In the midst of all of the confusion that is college and moving and adapting to a new place, my friend Zoe invited me to come with her to Forward. There were immediately some things that struck me as different: it met in an elementary school, it was not even a quarter of the size of my relatively small home church in Wisconsin, and it was full of people who were absolutely on fire for Christ, even in their brokenness. 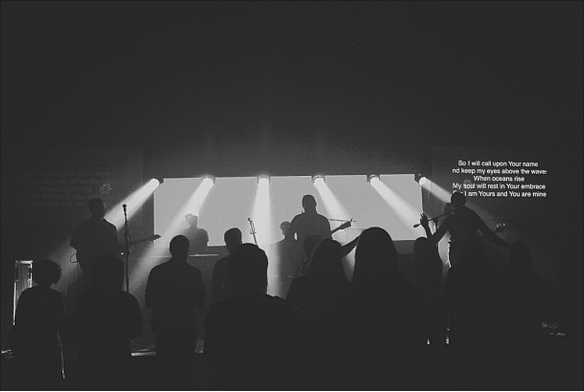 I came to see Forward as a church without walls. 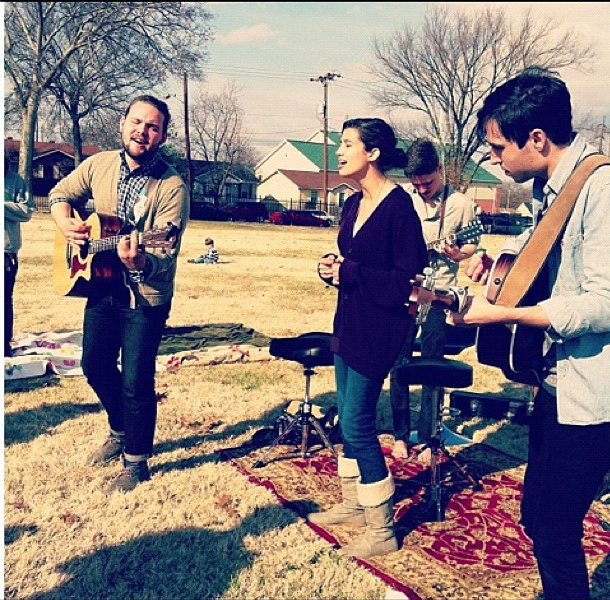 Although I loved being there on Sundays, I honestly feel like the real moments when I grew spiritually were outside of the walls of Murrell Elementary—like that time that we had church in a field because we were locked out, or the worship band practices that turned into movie nights and writers rounds, or serving Nashville’s homeless community. At Forward, I found 1 Corinthians 12:12: “Just as a body, though one, has many parts, but all its many parts form one body, so it is with Christ.” I’ve developed relationships with some of my best friends at Forward—priceless, priceless gifts that I am so grateful for. I think the biggest thing that I learned from being at Forward is that you don’t have to be perfect to be Christian. Forward is a church filled with broken people, and that is because Christ is here for the broken. When Forward moved back to meeting in a bar downtown this summer, I was once again reminded that God loves using the lowly, the imperfect, to make His glory shine. And one of the biggest opportunities that God used me, as a broken person, was being able to be part of the worship team. I’ve always thought that I had to be some kind of super-Christian in order to serve, but I’ve come to realize that God is calling us to love just where we are. It’s been a transformative experience and something I will carry with me as I continue through the mix of battles and blessings that is the Christian faith. I’m incredibly sad that this was Forward’s last Sunday PRAISE GOD! But I also am filled with hope. A church doesn’t need walls to be a church—I will always have Forward in the relationships I have with so many dear friends and the memories that I’ve made as we’ve learned about God’s love together. Forward isn’t a Sunday kind of church. It’s a movement of love. And as long as there is the love of Christ that we carry in each one of us, we are and will always be a family. Thank you to Jim, Jessica, David, Matt and everyone for your leadership, and for being my first family here in Nashville. I love you and am truly blessed to have you in my life.